Your infant’s skin is up to 30% thinner than yours, so it needs ultra gentle and delicate care. The Cottontouch™ hair & scalp oil is blended with real cotton and is specially designed for newborn babies' delicate, sensitive skin. This oil absorbs fast and protects baby’s delicate skin from day 1†. Pour small amount onto your palms and rub hands together to warm, then gently apply onto skin. 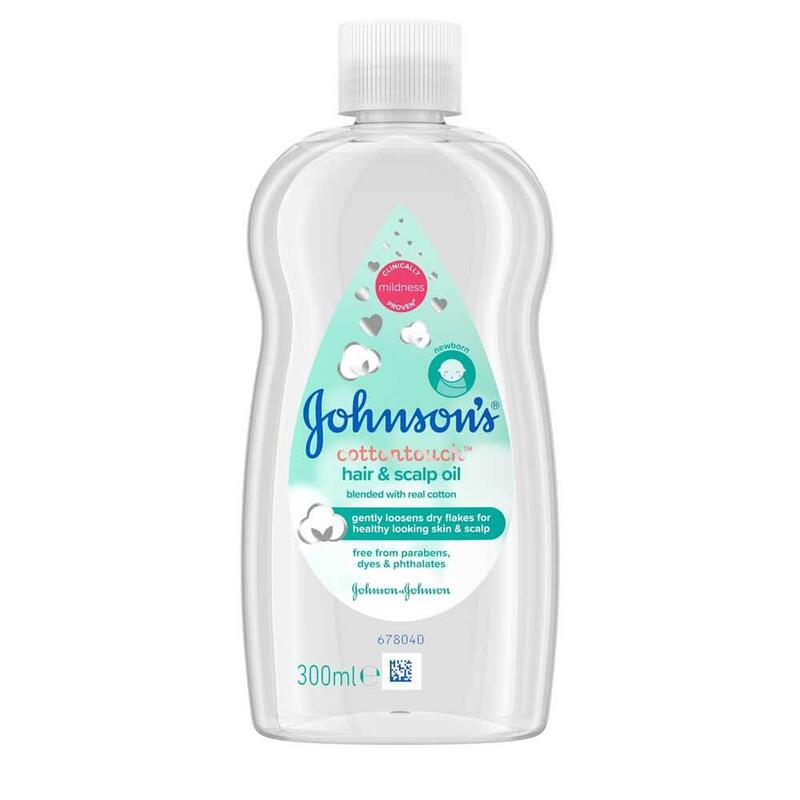 I don't like other baby products from Johnsons baby, but I'm really impressed with this oil. 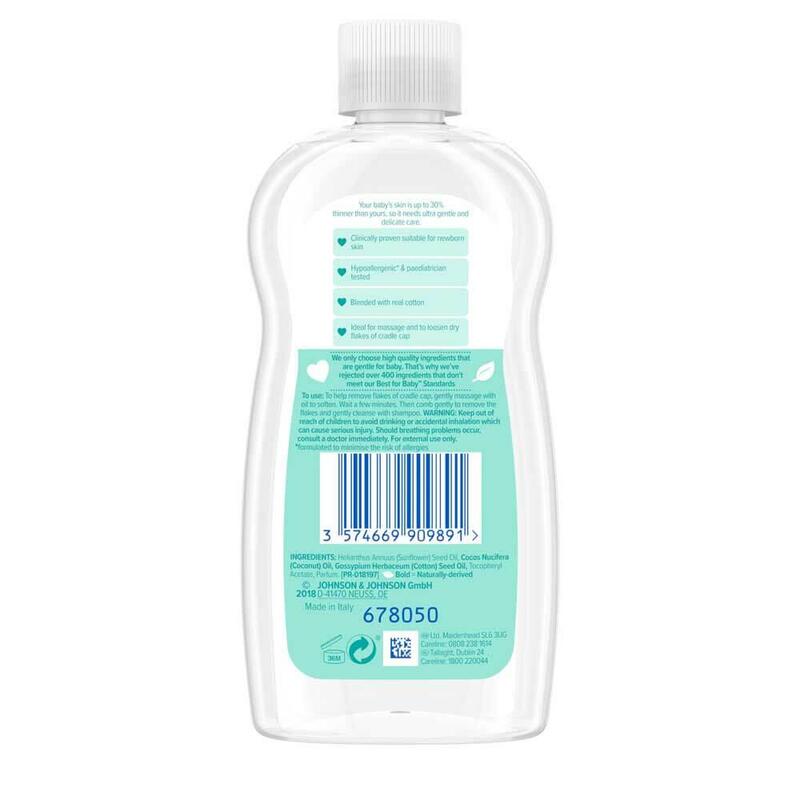 Nice ingredients list (finally), nice smell (a bit intensive though) and no skin problems after applying it (my 4 months old baby reacts to almost every product in the same way - rash and redness). Will be using it regularly. Used for cradle cap, already a huge difference! I purchased this today in Asda to use on my sons scalp. He has cradle cap from his forehead all the way to his crown. I used as directed, brushed through and after a few minutes washed with a mild shampoo. After drying I brushed lightly and dried his hair. Almost half of his cradle cap has gone already! Very impressed!